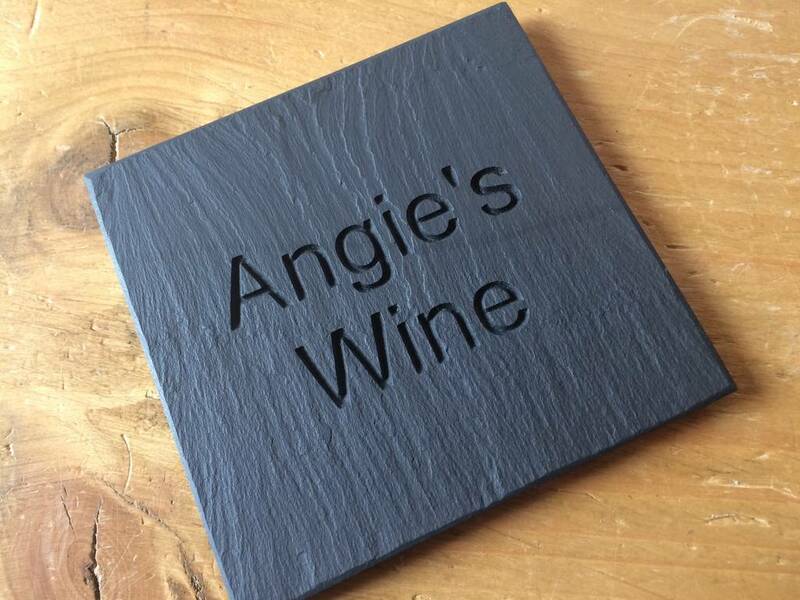 Your very own personalised drink coaster handmade from Welsh slate. 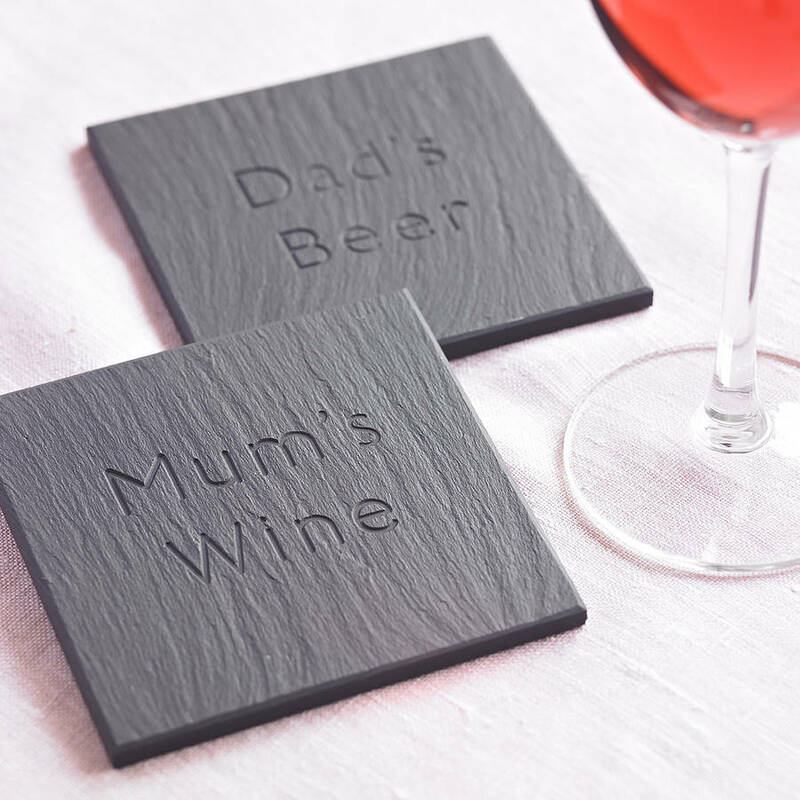 A perfect gift engraved with your special message. 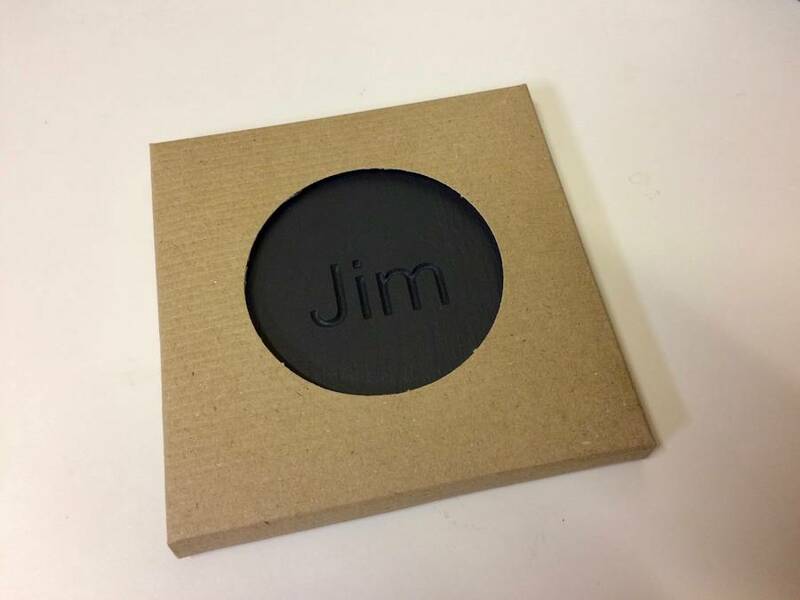 The personalised slate coaster makes an ideal and affordable birthday or a thank you gift by engraving your friends name and favourite drink for example 'John's Beer' or engrave with your favourite quote 'Wine time'. 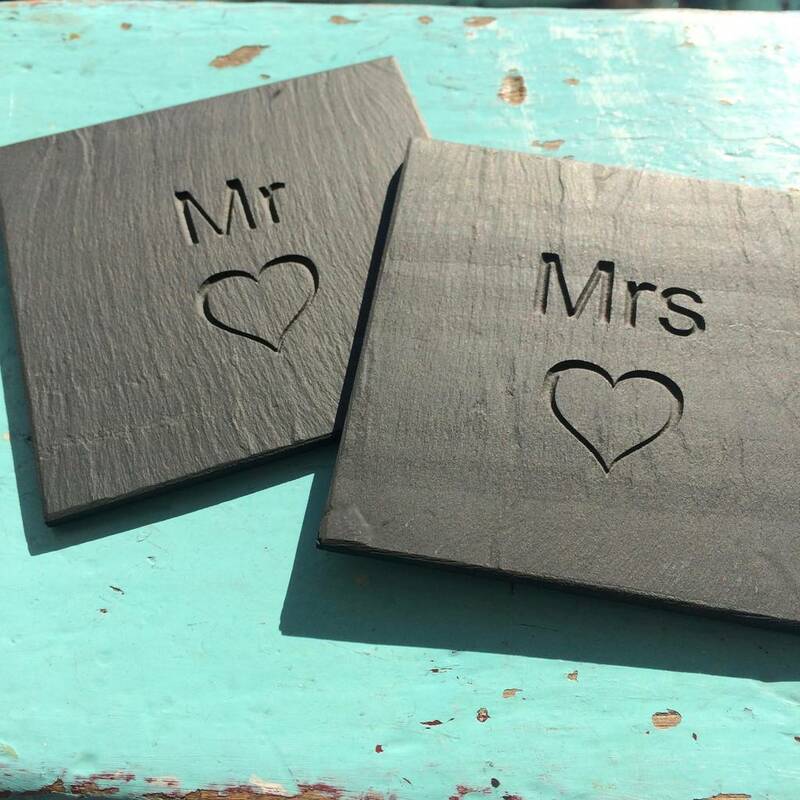 Looking for a special wedding gift? 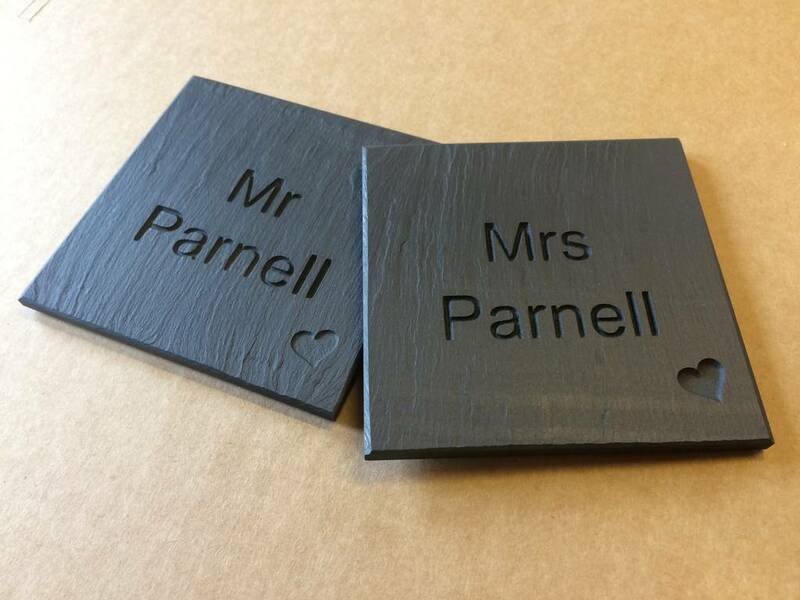 Personalise your coaster with the bride and groom's name or wedding date. 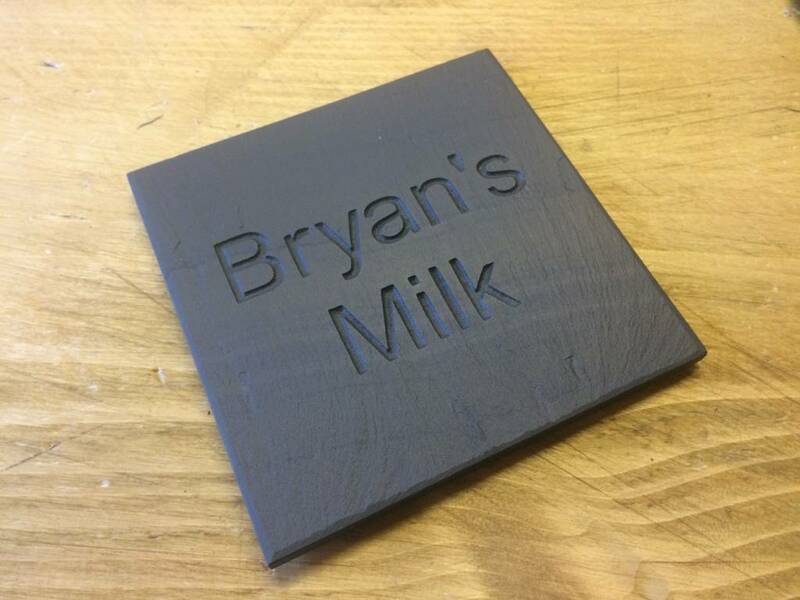 Treated with oil and black foam backing to protect surfaces - ideal to hold a large glass of wine or a mug of hot chocolate! Complete your set with matching placemat see 'personalised slate placemat'. Comes neatly packed in a brown kraft sleeve. Please note that space or punctuation counts as one character. 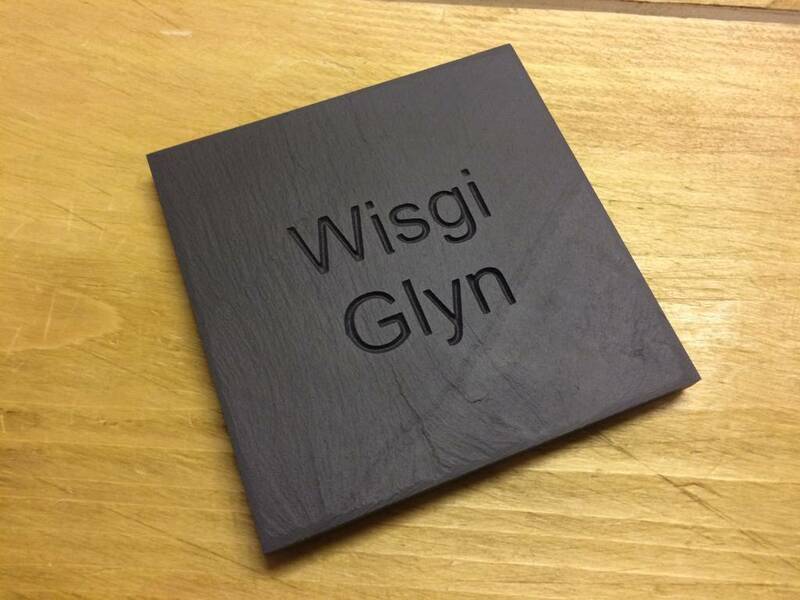 Please review your order before proceeding to checkout paying particular attention on any spelling mistakes as Grasi cannot be held responsible for any mistakes made by the customer. 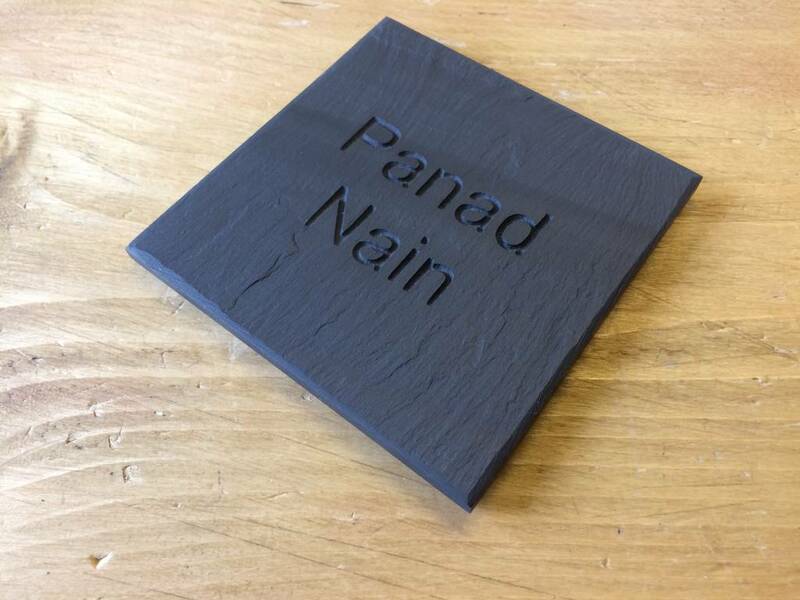 This piece of Welsh Slate has been sourced from a quarry in Blaenau Ffestiniog in the heart of Snowdonia National Park and handmade in our workshop.